I'm a software developer in London, Ontario. “The iPhone is the reason I’m divorced,” Andy Grignon, a senior iPhone engineer, tells me. I heard that sentiment more than once throughout my dozens of interviews with the iPhone’s key architects and engineers. “Yeah, the iPhone ruined more than a few marriages,” says another. Consumers and journalists alike have been recollecting the announcement and release of the original iPhone as we approached its 10th anniversary, echoing that this device changed the world and ushered in the new mobile regime. And while the iPhone is an innovation and a product that’s worth celebrating, I don’t believe that even such a great device is worth the human cost to those families. My family is the most important thing in the world to me. More important than any career goal, more important than introducing a cool computer into the world. If you expect your employees to abandon their families or home life in “devotion” to your business, you’re abusive and should manage better. Other companies have not been blameless in supporting workaholism, such as Microsoft with their #GetItDone campaign late last year. Workaholism is a plague that afflicts the modern workforce, silently destroying marriages and separating families for the sake of the next great thing or improving the bottom line. On the other hand, it’s encouraging to see workaholism being inoculated against with initiatives like Basecamp’s Work Can Wait and this amazing billboard by the Red X. Aside from the actions of companies, I hope that workers in these situations would realize that the company they are working for is not worth shipwrecking your marriage and splitting up your family over. template = "Hello, today is <%= Time.now.strftime('%A') %>"
# => "Hello, today is Sunday"
Now that we can read a template from a file, what about being able to call variables and methods from my template? In Rails, I would define my variables in the Controller and methods in Helpers, but I’m not using Rails. Then I learned about Binding, which is the way to pass the “execution context” of some code around. Execution context is just a fancy way of saying variables and methods. Any variables and methods defined in the class that you call #binding on, as well as any methods defined in any included module, get passed to ERB, ready to use. Hello <%= name %>, today is <%= Time.now.strftime('%A') %>. Time.now.hour >= 12 ? "Have a wonderful afternoon!" : "Have a wonderful morning!" # => "Hello Jonathan, today is Sunday.\n\nHave a wonderful afternoon!" So, binding is private, but we can access it through a method like get_binding. Hello <%= name %> 😬, today is <%= Time.now.strftime('%A') %>. Opening the template as a utf-8 file makes everything run perfectly. Rendering ERB templates without Rails is a little daunting at first. Once you get the hang of it, it’s as powerful and simple as ERB itself. If you want to read more about ERB without Rails, I highly recommend this article by Stuart Ellis. 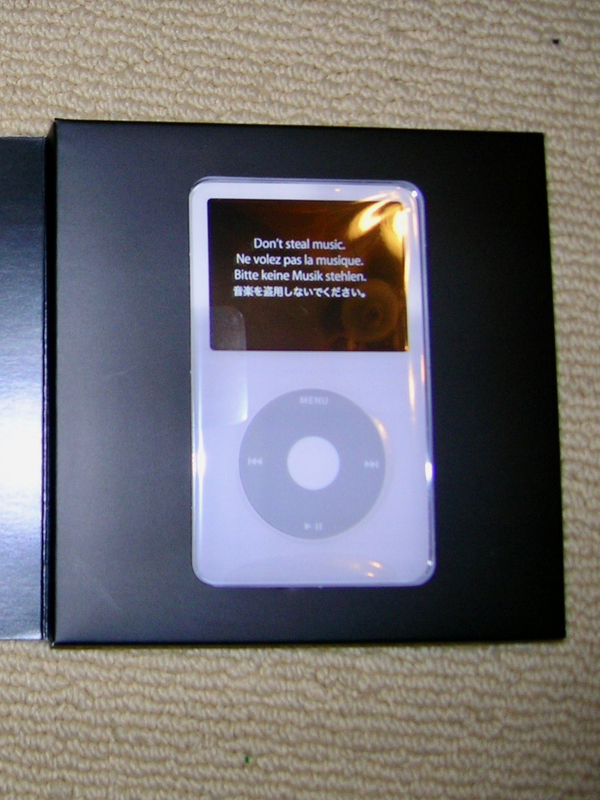 On December 25, 2006, I opened up my first real iPod: the 80GB 5.5th generation iPod with Video. It was a device I wanted ever since getting an iPod Shuffle and realizing that Apple really knew what they were doing with hardware and software. I used and loved this iPod daily until 2012, when I got my iPhone 4S. In the weeks and months leading up to getting my iPhone, I thought frequently of how awesome it would be to consolidate all of my various devices into this one master device. At that time, I had a Blackberry Bold 9700 as my phone, everyday carry camera and Internet Communicator; a Flip Ultra HD camera for video; and my trusty iPod for music. The iPhone would replace all of these devices. From then till now, I’ve enjoyed the iPhone 4S as the ultimate consolidated device. While feeling nostalgic yesterday, I took my old iPod out of storage, charged it up, and plugged in a pair of headphones. It hadn’t been synced with my Mac for a while and was thus a time capsule of my musical preferences back in 2012. I found some of my favourite songs and started listening. I was struck by how little this device actually did: all I could do was pick a song, press play, and adjust the volume. There was nothing else to distract me. I couldn’t switch apps and start browsing the web or check my email. I just put the iPod down and let the music take my full attention, and it was really, really fun. Using my old iPod has given me a fresh perspective on the technology I use daily. I often wonder what people used computers for before the Internet1. Wouldn’t a computer without a Internet connection have been rather limited in purpose? After using this iPod, I see that computers did have a limited purpose. Limited purpose, however, is not necessarily a bad thing like I originally thought. A computer with a Internet connection is not just a computer. A Internet connected computer is also a reference library, a source of entertainment, a social hub, and pretty much anything else you can think of, and thus can be almost endlessly used. But with all of this power comes the potential to get stuck doing practically everything except for the thing that you should be doing. Sometimes, having a single purpose is preferable. And perhaps, even with the endless possibilities of the Internet, a modern computer can be used with a purpose in mind. Thanks for that, iPod. SCSS features aren’t being used effectively. Needs refactoring. When I first started making my theme, I decided to use Bootstrap to speed up development. Bootstrap is a wonderful framework, making websites look great right out of the box. Since it’s so full featured, it also included a lot of elements that I would never use for this site. Why not explore some of Sass’ interesting features and remove what I didn’t need. A whopping 5822 lines of Sass! Some of that was my own code, but the vast majority was from Bootstrap. I decided to do the obvious thing and search “lightweight grid framework” on Google, and I found Neat by Thoughtbot. Neat uses Sass mixins instead of concrete classes, like Bootstrap. This would be a great opportunity to learn more about Sass’ mixin system. This also turned out to be the biggest learning curve. I also added a few extra rules to keep the container in the centre of the page and make it not fill up the full width of the screen at different screen sizes. Bootstrap has several different classes for columns. I was using col-xs-[x] and col-md-[x] to define columns for desktop and mobile. My main content container (the one you’re reading in right now), for example, used col-xs-12 col-md-8 to make it span 8 of 12 columns on desktop and 12 of 12 columns on mobile. Neat, out of the box, doesn’t provide you with different sized columns defined by breakpoints for mobile, desktop, etc. Instead, it provides you the tools to make those decisions for yourself. This was the hardest part, for me, when I switched from Bootstrap to Neat. grid-media wraps the grid-column styles in a media query defined by the rules set for the custom $large-neat-grid that I defined earlier. Easy and clear. The transition was made even easier because I had already defined classes on all of my main container elements, so I just had to add the Neat mixins to each of these to replicate the layout I had made with Bootstrap. One thing I didn’t realize was how much Bootstrap defined things like font styles and spacing within divs. When I removed it, the whole layout looked really weird. After the initial shock, I got to work defining just the styles I needed to make the site look the way I wanted. This was more work, involved more trial and error, but left me with a result that is much leaner and meaner. From 5822 lines to 842 lines – an 85% decrease! Neat provides a, ahem, neat way of creating a grid based layout with Sass mixins. I enjoyed learning how to use the library and cleaning up my Sass codebase to use more Sass features, such as variables. Neat just had a major upgrade, which dramatically simplified the API. Read all about the changes here. TLDR: Blank lines in a .csv.erb template render as whitespace in the final CSV output. Using the method I described for exporting CSV, I created a new template and was testing it. When I downloaded the CSV file and opened it, it appeared that the file was empty. What was going on? I noticed that the scroll bar was rather long, so I started scrolling… and scrolling… and scrolling, down 1369 lines. There’s the data. Then, I looked at the total lines in the file: 2738, which is double 1369. It appears that, somewhere, I was inserting 1368 blank lines into the file prior to the data being written. I started debugging my .csv.erb template to see where this whitespace was coming from. First, I set a breakpoint in the template right before rendering the CSV. Ruby’s CSV library wraps a string in a CSV object, and I could verify that the string had no whitespace. Next, I started removing elements from the CSV template until I found the culprit. What I found was that an entire section of the CSV document was where the problem was happening. No matter what subsection of that section I removed, the issue would still persist. If I removed the entire thing, the output would begin at line one. Finally, I decided to try something that I thought was crazy: I had defined a few variables in ERB tags earlier in the document, and I had inserted a blank line between each of these for readability. What if I removed those? The output began at line one. Bingo! Not so crazy after all! If you have more whitespace than you bargained for in CSV output and are using a .csv.erb view template, check for blank lines. These could be the culprit.